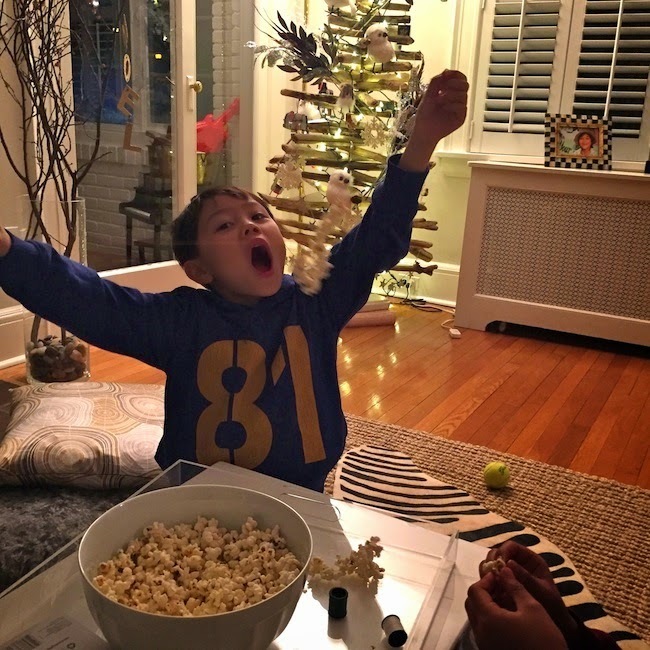 Can you ever just have one handful of popcorn? If so then I envy you! How?!! It's so ADDICTIVE. 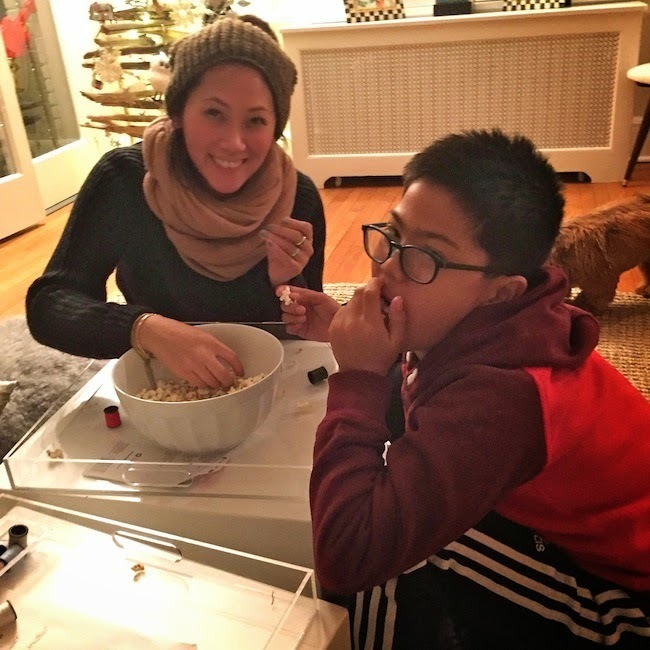 For the 12 days of Xmas my boys received popcorn along with a sewing kit. They were dumbfounded when they opened the gift! FUNNY. No movie night or sewing buttons over here. 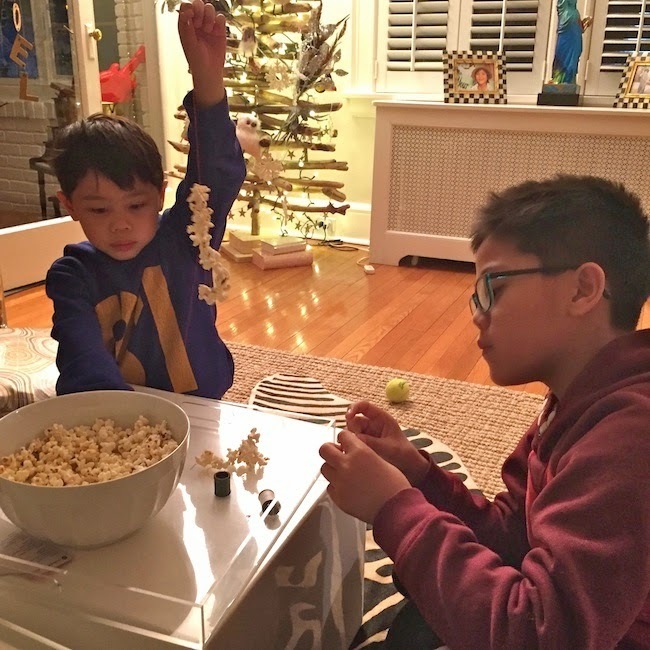 For the 1st time we strung popcorn. It was a new experience. Tested our fine motor skills, and my eyesight for threading a needle. But honestly more went into our belly then on the string! HA. Inevitable right? 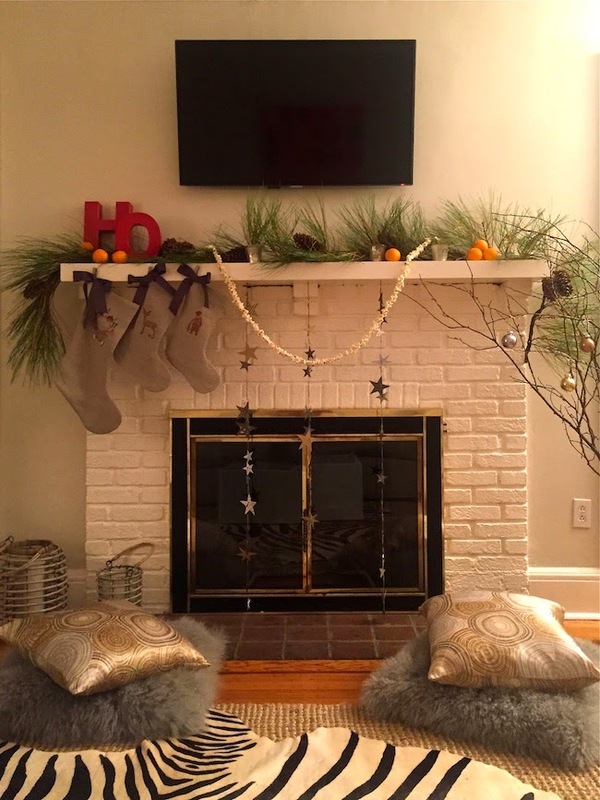 Do you know why we decided to hang the popcorn string on our fireplace mantel instead of our tree? EDDY! Poor dog was eyeing it and can't be trusted.